Right, electrics is not my thing, that's my starting point. 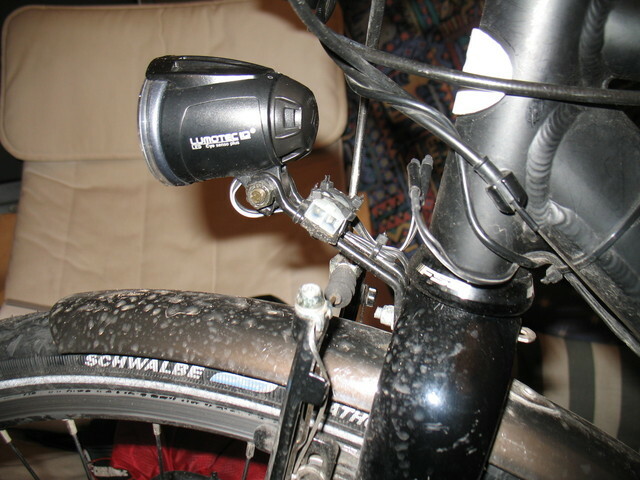 Managed to attach B&M light to the 'bent, that's mechanical, I can do that from a raid on the bits and pieces box. Run the lighting cable along the boom and down the inside of the fork, no problem, plenty spare. When it comes to the USB werk, if I put it inside the frame bag as I always intended, the wires are too short to get to the hub. I have excess from the light which will make up the difference. Solder and heat-shrink would be my preferred approach for permanently splicing the cables. If you're only going to use the USB-Werk on special occasions, then a conveniently located Tamiya connector works well as a connection point - much less fiddly than spade connectors. Tamiya connectors aren't waterproof, but they don't short out when wet and the open design means they dry out rapidly. (I reckon this is a better approach than something like Weatherpack, which is admirably waterproof, but only when it's connected.) 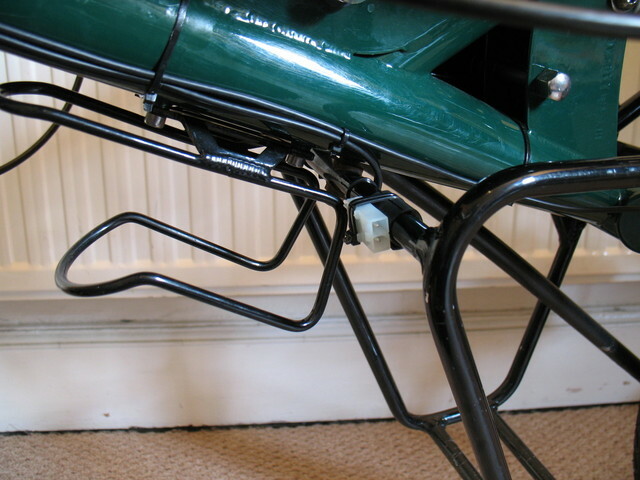 The female connector (confusingly, that's the part with the male pins) can be cable-tied somewhere on the bike, and the charger fitted with the corresponding male connector. i was thinking solder and heatshrink. Two bits of heastshrink conveniently in the pack for the USB werk for connection to SON dynamos, but not needed for shimano.